Posted on January 25, 2019 by Dave Smith Appliance. If the inside of your refrigerator has gotten out of hand, don’t feel bad. You’re not alone! No one enjoys digging through the mess to clear out old, spoiled foods, which is why you need to learn how to clean and organize your refrigerator with these easy tips. They’ll save you time, money, and improve the storage capacity of your fridge. It’s important to begin by deep-cleaning the inside of your refrigerator. Remove all items from the fresh food compartment and throw away anything that’s spoiled or expired. Keep a list of what foods you need as you go through this process. Once the interior is empty, use a food-safe cleaning product, or even white vinegar in a spray bottle to clean the shelves, bins, and walls. And to keep the unit cooling efficiently, you should use an appliance brush to remove any debris from the condenser coils in the back of the unit. Spills are the most common messes you’ll find inside the average refrigerator. It’s nearly unavoidable, so your best bet is to protect your shelves using some sort of easy-to-clean liner. 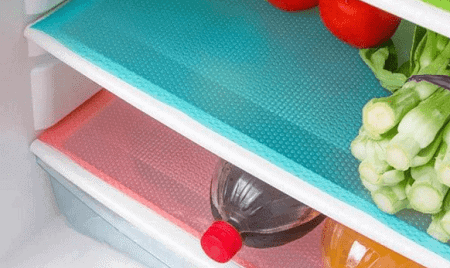 You can purchase special refrigerator shelf mats, or even make your own using placemats or other materials. Many prefer to use plastic wrap which can be conveniently removed, thrown away, and replaced when a spill occurs. No cleaning required! It’s easy to clean and organize your refrigerator once, but keeping it that way is the real challenge. One of the best ways to accomplish this is by using baskets to maximize storage and keep like items together for easy access. You can even create labels for each basket so you’ll be 100% certain what goes where every time you buy groceries. Try labeling one with “eat first” to avoid throwing away foods that are about to spoil. Making the most out of your refrigerator’s storage capacity means using its width and depth to your advantage. A great way to utilize depth while maintaining organization is to add a turntable or lazy Susan to one or more shelves. You can even use labeled baskets on the turntable for the most convenient access to foods, condiments, and more. Oh, and did we mention that it looks great too? Wasted food is a huge problem in our country, and unused leftovers that get thrown out are a big part of it. Hanging a dry-erase whiteboard on your fridge will allow you to not only keep an accurate grocery list, but you can track how long you have left to eat certain food before they go bad. You’ll be amazed at just how much you can save at the supermarket by simply eating more of what you already bought. 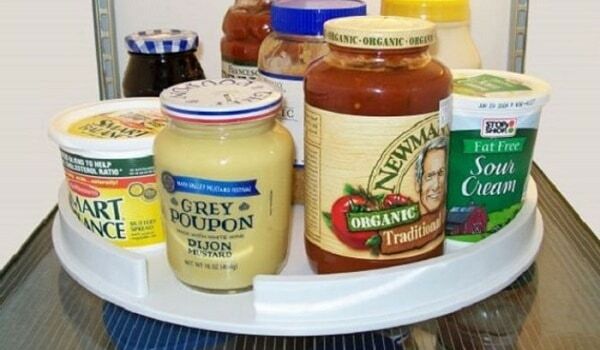 These simple refrigerator organization hacks should help you clean and organize your refrigerator better than ever before. 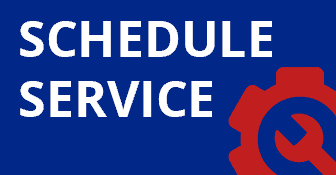 If you’re having trouble with your unit not working correctly though, call the repair experts at Dave Smith Appliance Service right away! General, Helpful Tips, Uncategorized permalink.